Backyard Summer Nighttime Nature in New Jersey. 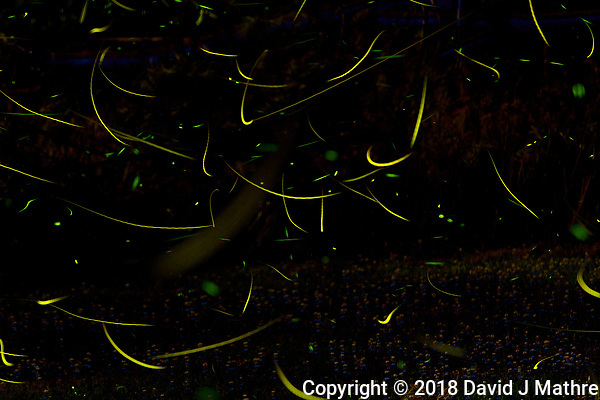 Firefly Trails using a Nikon D850 camera and 600 mm f/4 VR lens. Afternoon walkabout with my new Nikon D850 camera and a 105 mm f/2.8 macro lens. I was interested to see how the high resolution camera would do hand-held taking pictures of flowers on a cloudy day with some wind. I was impressed. I now need to try out the focus stacking capability of the camera for taking macro images of stationary flowers — indoors and with the camera on a tripod. Individual images can be viewed here. Some birds at the bird feeder at dusk. Trying the new Nikon D850 camera out with a 600 mm f/4 VR lens and pushing the ISO as it was starting to get darker out. Some post processing noise reduction using Topaz Define. Chipping Sparrow, Northern Cardinals, and Blue Jays. The Blue Jay is a bit big for this bird feeder. Also, unlike the finches and cardinals it needs to take the sunflower seeds away from the feeder and find somewhere to break the seed open. Gone to See Europe 2014. Day 27: Semester at Sea, Summer 2014 Semester Voyage. Bilabao, Spain. 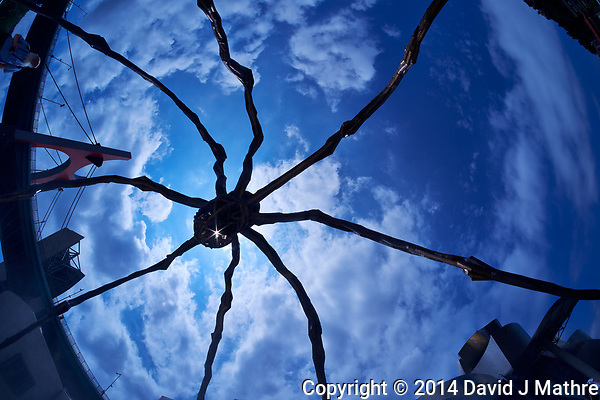 Maman the Spider at the Guggenheim Museum in Bilbao, Spain. Selfie in the upper left corner. Image taken with a Fuji X-T1 camera and Bower 8 mm f/2.8 fisheye lens.